At Degenkolb, we are passionate about learning and sharing. Our ideas section highlights some of the recent happenings and thinking at the firm. Saturday was the Degenkolb Earthquake Reconnaissance Team’s first day in the field. 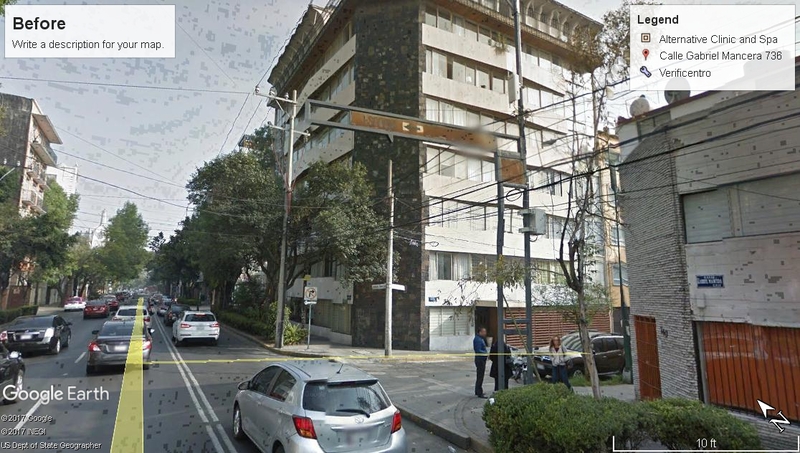 Together with professors from multiple Mexican Universities, graduate students, and representatives from PEER, we visited over 16 sites with varying degrees of damage, and assisted with more detailed assessments for the Colegio Ingenieros Civiles de Mexico. 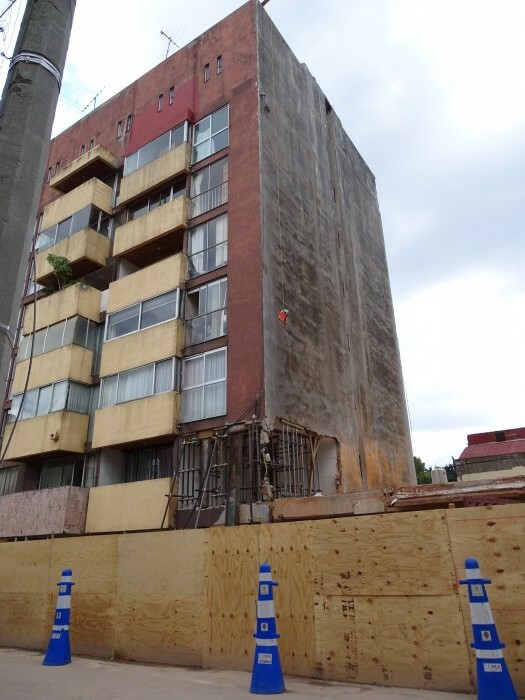 The buildings most susceptible to damage were the concrete frame with masonry infill buildings within the height range of 5 to 15 stories. 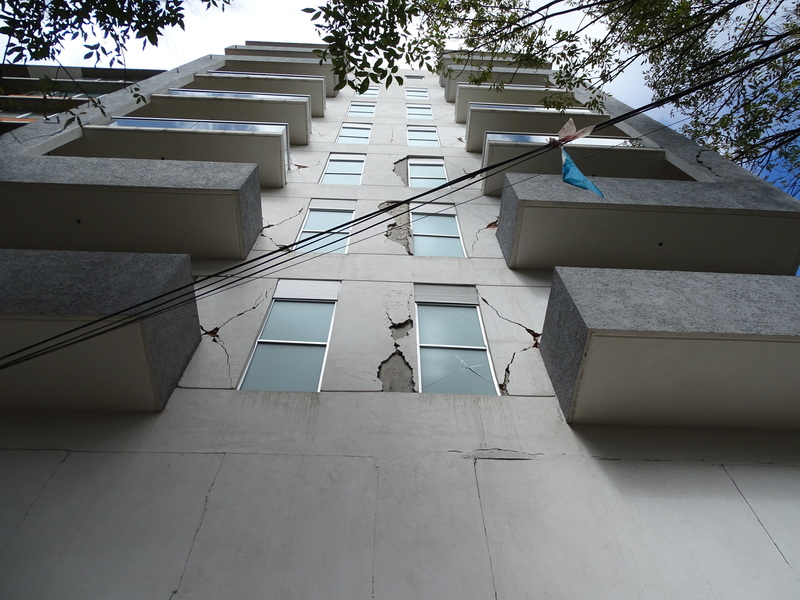 Common damage observed consisted of cross cracking or even dislodging of masonry infill, pounding damage between adjacent buildings, spalling and even bar buckling at concrete columns, broken or dislodged glass, and exterior plaster delamination. At one site, we met with the President of the Colegio De Ingenieros Civiles De Mexico (or CICM), which is the professional organization for engineers in Mexico. At this location, we assisted in the assessment of an existing 9 story structure that experienced significant damage (See above photo). At every visit, the people of Mexico and the professionals we have been working with have been incredibly friendly and grateful for our presence. 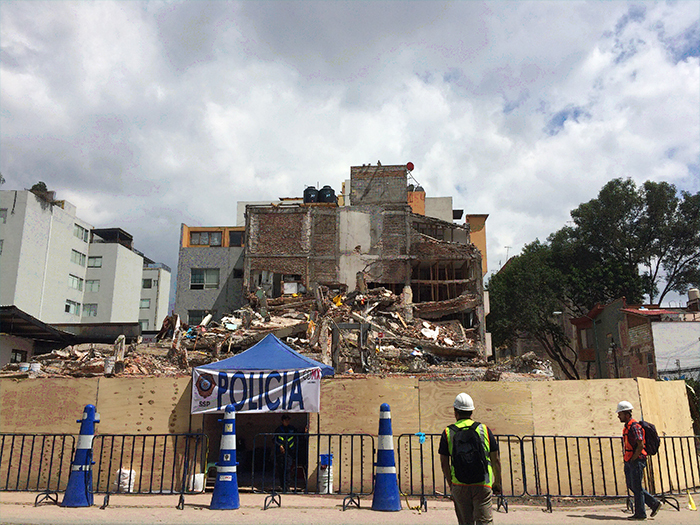 Before and after images of a 7-story condominium complex that collapsed. 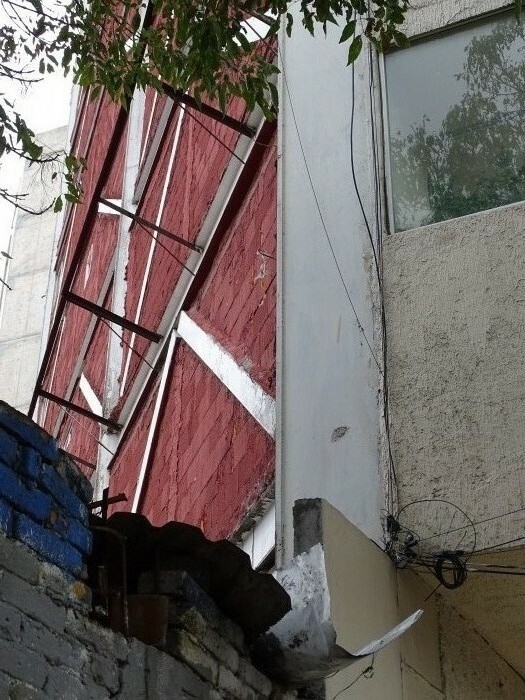 Again the dangers of non-ductile concrete frame structures are exposed. Shear cracking at base of concrete multistory structure. The moment frame column at the left pushed against the infill and concrete wall to the right, resulting in diagonal shear cracks. Triangular steel framed structure with braced frames on two sides and moment frames on the street side. No damage observed. 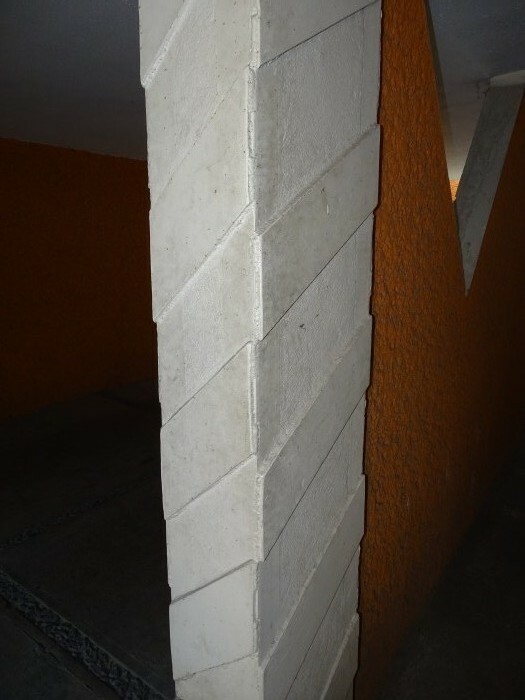 Interesting concrete column with embedded steel angles at the columns and diagonal steel plates. 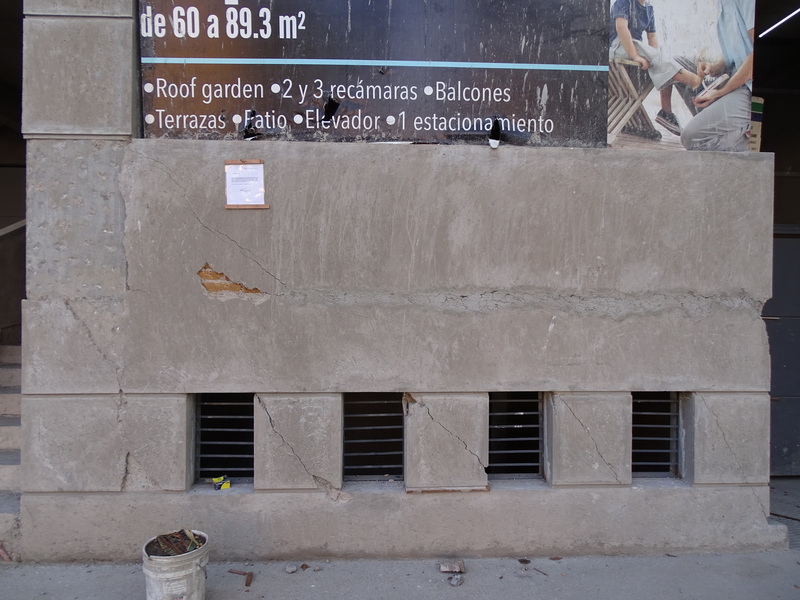 Based on field observations and conversations with the manager, this unique type of construction was original, and not a retrofit. Soft/weak story collapse mechanism of a 4 story non-ductile concrete frame structure. Total collapse likely prevented by the adjacent home. Temporary shoring at corner of existing housing complex. 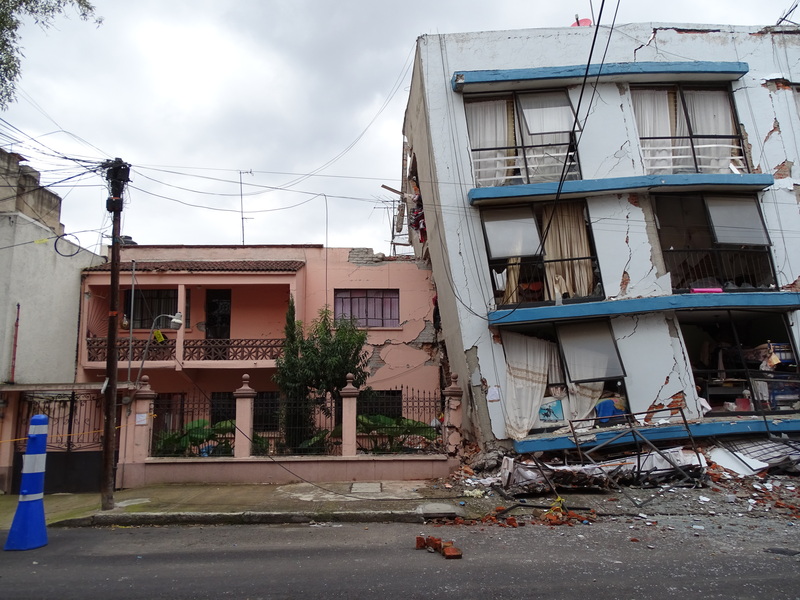 The adjacent collapsed building (mostly demolished in photo) almost knocked out the corner column of this building. 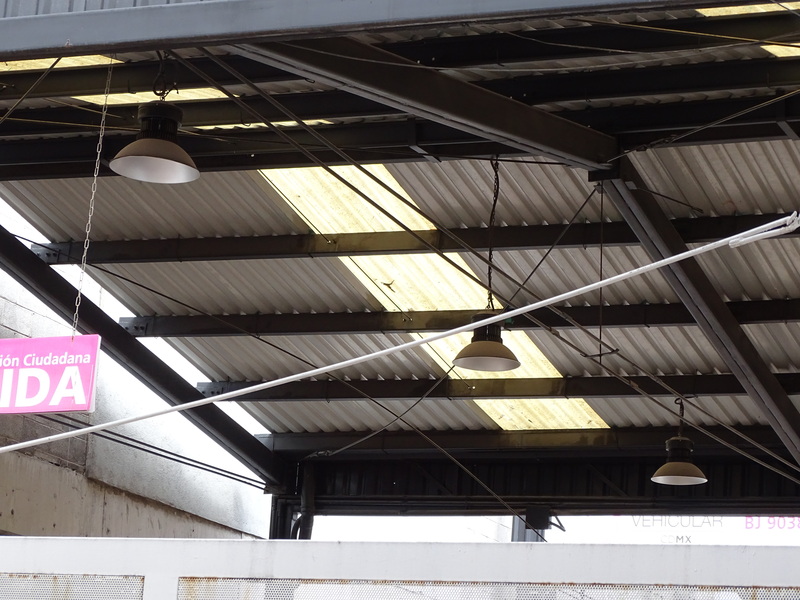 Sagging and fracture of steel tension rods in the diaphragm of a steel building. 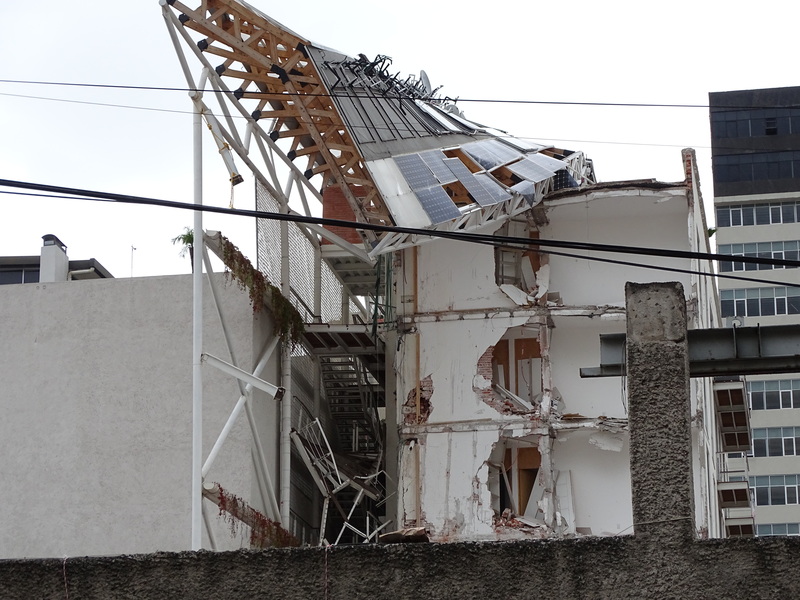 Note that this was the only damage to metal buildings of this style that we observed, and the damage was likely caused by the collapse of the adjacent concrete and masonry structure that resulted in partial collapse of the light frame steel building. 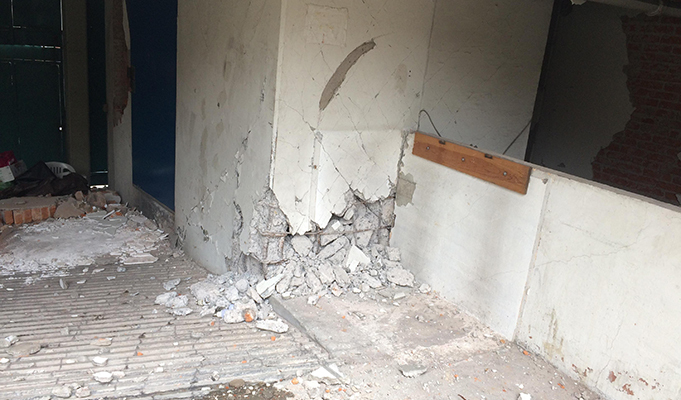 Partial collapse of concrete frame and masonry infill building, with a steel framed back portion. We understand this building was new, and considered “green” due to its rooftop solar panels and other features. Degenkolb sends monthly emails about our latest news and activities. Sign up if you’d like to hear from us.